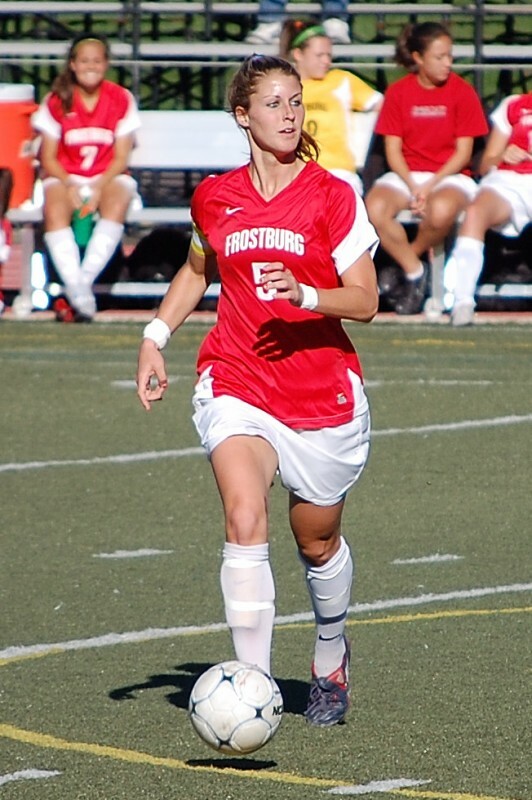 A 2007 Middletown High School graduate from Middletown, MD, Heather appeared in all 88 games played by FSU in her 4-year career. Playing almost entirely as a center back, she scored 24 career goals, mostly headed corners and free kicks. 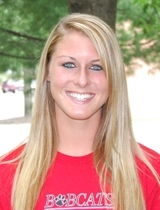 She was a 3-time 1st-Team All-Conference player that helped FSU set numerous defensive records and appear in 4 conference championship games in her career, winning the title in 2009. How did your FSU degree or coursework help you in your profession or prepare you for your current job? My degree absolutely prepared me for my current job. The courses I took and grades I received proved that I would be a great candidate for this position. The internship experience I had through FSU with the Western Maryland Hospital was also very beneficial. Frostburg State provided me with so many opportunities to learn and grow for the present and future. Since many of my professors were involved in athletics in some way or just paid close attention to our team, I could easily relate to them which made it easier to communicate in and out of the classroom. Can you talk about your experiences as a women’s soccer player at FSU? Being a student athlete at Frostburg State is one of the most rewarding and gratifying experiences I have had in my life to date. Being a part of a college team is indescribable. You are not just an average student who simply “gets by” but rather are immediately known as someone who is dedicated, hardworking, determined and respected. You learn to balance your schedule with the amount of school work you may have and the commitment to practices, games, workouts and road trips. College athletics prepared me for life after college in so many ways. One key factor was becoming more mentally tough. You have to develop friendships in different ways on and off the field and with a variety of people. You need to learn the concept of teamwork and how to be successful within a team framework. As a captain you have to exemplify leadership abilities and that leadership experience directly helped me to land a job right out of college in the chosen field I wanted to be in because of my competitive nature. The competition in sports is very much like that of the work force and becoming a student athlete at Frostburg State will help me compete for the rest of my life for the things that are important to me. What are your future plans or ambitions ? I am not only working in a Medical clinic but I am also a Certified Personal Trainer and am applying to a PTA program in Carroll County in Westminster, MD. I am in the process of getting many other certifications to help further my career goals and education such as TRX certification, NASM certification, and certification from the IYCA or International Youth Conditioning Association.